LED Light Tile: Thin. Efficient. Beam angle control. Flexible. Uniform. Low weight. A potential OLED killer – lighting you can roll up like a newspaper. The thin, flexible LED Light Tile has built-in optics giving it uniformity and a consistent beam angle. 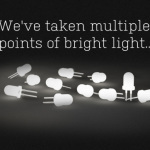 It has lots of applications in signage, advertising, architecture, retail, shelf lighting and furniture. 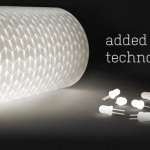 Design LED unique printed LED Light Tiles open the doors for a whole new generation of lighting products that benefit from being extremely thin, flexible and highly efficient. At the core of Design LED’s technology is the integration of low profile Light Emitting Diodes (LEDs), clear optical resins and optical films into a high efficiency light tile. 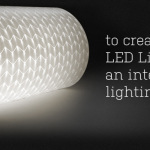 LED Light Tiles enable design freedom in everyday applications and is invented by and available at Design LED.